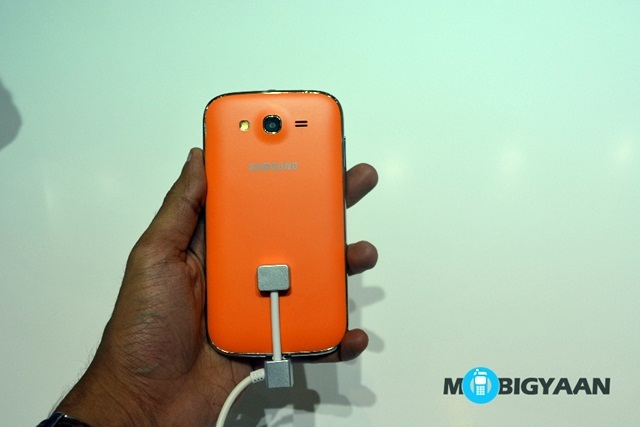 The Samsung Galaxy Grand Neo has been recently launched in India for a price of Rs. 18,450. 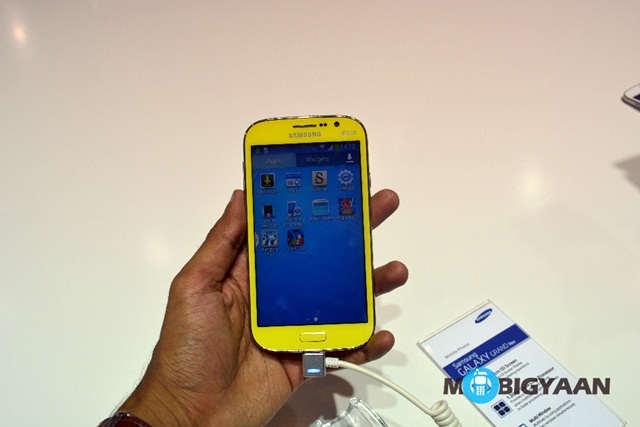 We were at the Samsung Forum event in Indonesia and had some hands on time with it. 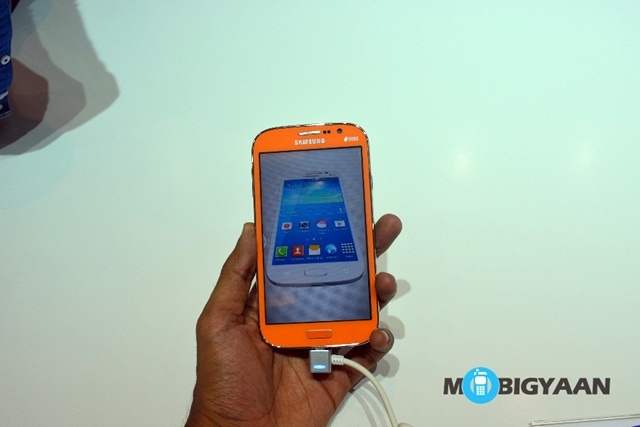 Here are the images with little snippets of our opinion on the handset. The first thing you notice about the Galaxy Grand Neo is that is it is different from other Galaxy Grand handsets be it the other Galaxy Grand Quattro and the Galaxy Grand, that it has slightly different hardware. It comes in attractive color options. 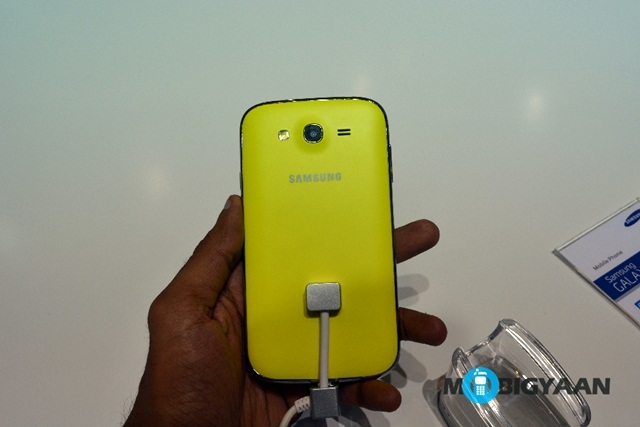 It has a matte rear making it look somewhat like the Samsung Galaxy S3. But then, there are some things that are just the same. It has the same 5-inch WVGA display, but the internals have been pumped up to a 1.2 GHz quad-core processor from a 1.2-GHz dual-core processor. It now boasts of 64 GB MicroSD support. 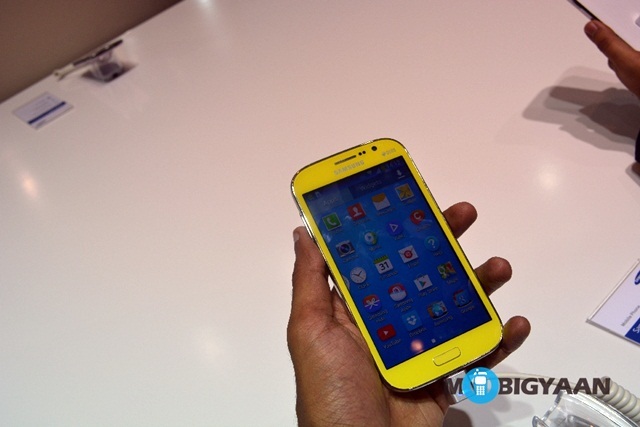 The camera at the back is now 8-megapixel up from the earlier 5-megapixel one. But then, as far as the look and the feel goes, it is not too grand. It might be a matter of personal preference whether you like florescent colors or not. 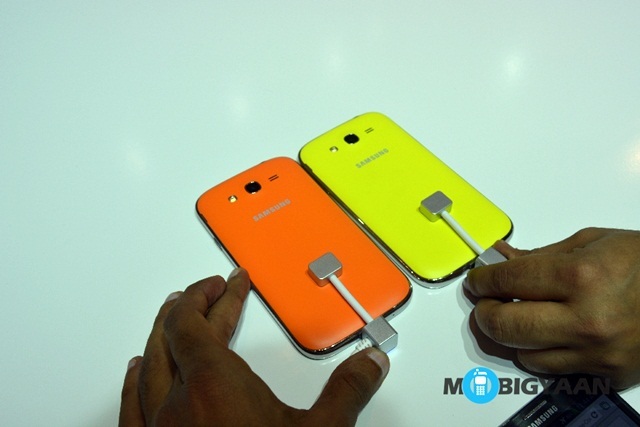 It, however accomplishes the goal of being a mid-range Galaxy handset.